Whales around the world are singing flat and off pitch, and now Australian scientists think they may know why. The researchers found that the pitch of Blue whales, fin whales, and pygmy blue whales calls are dropping between 0.12 to 0.54 hertz every year. The think the drop in pitch is a consequence of them singing less loudly because either there are more whales around or because of ocean changes due to climate change. They also found that Antarctic blue whales increase their pitch during summer and that this may be down to them having to essentially shout over the sound of cracking icebergs. Funder: French cruises were funded by the French Polar Institute (IPEV) with additional support from INSU‐CNRS. NOAA/PMEL also contributed to the DEFLOHYDRO project. E. C. L. was supported by a PhD fellowship from the University of Brest and from the Regional Council of Brittany (Conseil Régional de Bretagne). WASHINGTON— Blue whales around the world are singing a little flat, and scientists may now have more clues as to the reason why. A new study finds there’s a seasonal variation in the whales’ pitch correlated with breaking sea ice in the southern Indian Ocean. 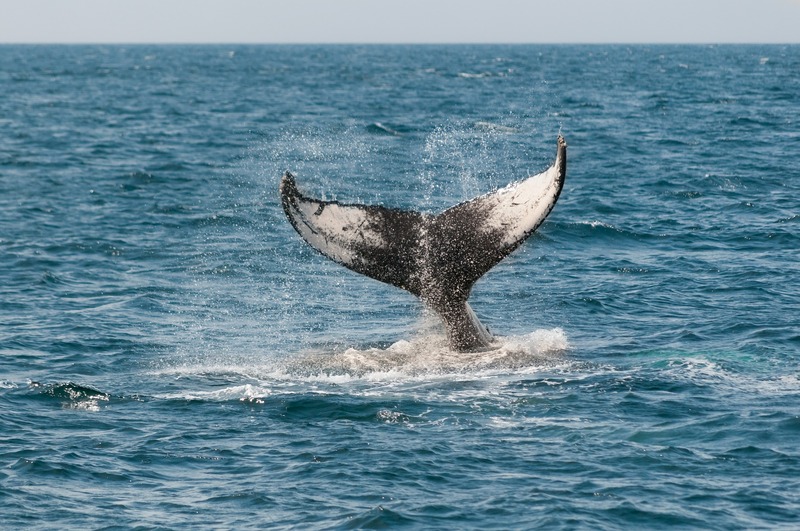 The new research also extends the mysterious long-term falling pitch to related baleen whales and rules out noise pollution as the cause of the global long-term trend, according to the study’s authors. Blue and fin whales are among the loudest animals in the oceans as well as the largest. Only males sing, humming about as loud as large ships. The whales’ loud songs can travel more than 1,000 kilometers (600 miles) underwater, allowing the whales to communicate across vast oceans. Blue whales have been dropping pitch incrementally over several decades, but the cause has remained a mystery. (Video: Listen to Antarctic blue whale calls recorded in 2002 and 2017). Now, the new study in AGU’s Journal of Geophysical Research: Oceans finds the same mysterious long-term trend of falling pitch in fin whales and Madagascan pygmy blue whales. Pitch, or the perception of how high or low a note sounds, is a result of the frequency of the sound wave, usually measured in hertz. The authors of the new study use new data from the southern Indian Ocean to rule out noise pollution as the cause of the pitch change. Instead, the new study suggests the pitch drop is an anatomical consequence of singing less loudly. The whales’ calls could be quieter due to growing numbers of whales or changes in the ocean due to climate change, according to the study’s authors. “We think it is something non-voluntary from the whale. Decrease the call intensity and it will decrease the call frequency, just because of the sound emission mechanism,” said Emmanuelle Leroy, lead author of the new study and a research fellow at the University of New South Wales in Australia. The new research also uncovers a seasonal counterpoint in the calls of Antarctic blue whales, potentially related to the noise of melting sea ice. The new study finds blue whale calls in the southern Indian Ocean increase in pitch during the summer. The pitch could be increasing as whales sing louder to be heard over breaking sea ice, according to the study’s authors. The stereotypical song of the Antarctic blue whale spans about 15 to 30 hertz, at the very bottom edge of human hearing, which ranges from about 20-20,000 hertz. Blue whale songs are in the range of the lowest, longest pipes of large cathedral organs. For consistency, the study measured the pitch of selected elements of each species’ song, which had fallen to about 25.6 hertz for the Antarctic blue and 96 hertz for the fin whale by the end of 2015. In 2002, the pitch of the selected element of the blue whales’ call was closer to 27.5 hertz, a difference from the 2015 values equivalent to about a whole tone or major second interval in Western music tradition. Unlike most of the world’s oceans, subject to an increasing mechanical cacophony, the southern Indian Ocean has grown quieter in recent years and its shipping traffic is limited. Because the long-term trends in pitch drop are steady around the global range of the whales, the data from the Indian Ocean indicates the ongoing drop cannot be explained as a response to human-generated noise. Instead, the authors of the new study suggest the drop could be a byproduct of lower volume if the rebounding whale population doesn’t need to sing as loudly to reach other whales. “Because the whaling stopped, the whale population is increasing. They can decrease their call intensity to keep in touch, because there are more whales. These calls are long distance communication,” Leroy said. They observe the seasonal variation in pitch during the months of the austral summer when sea ice breaks up. Iceberg crackles are loud. They boom for thousands of kilometers in a frequency range overlapping the pitch of the Antarctic blue whales’ calls. To be heard over the noise the whales may need to get a little louder, the study suggests. Singing louder makes the pitch go up. “What's surprising is the long-term and short-term changes could have the same reason, a change in call intensity, but the change responds to two different causes,” Leroy said.